Star Wars 8 director Rian Johnson recently revealed that Snoke would remain a mysterious figure throughout The Last Jedi. An online mole claiming to be a disgruntled fired Lucasfilm employee, however, has revealed staggering new information about Snoke, Leia, Finn and more. The leaks give startling descriptions of the First Order leader’s origins and potential weaknesses. Is Benicio del Toro’s mysterious DJ the person Finn is seeking on Canto Bight with Rose for the information? 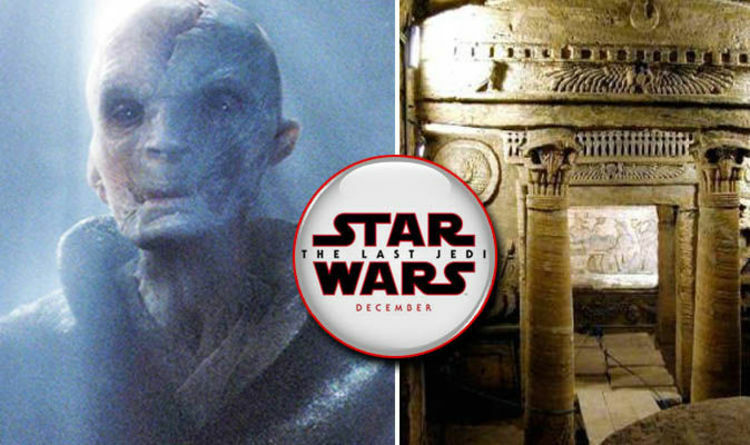 The leak also gives extraordinary details about Snoke’s tomb and origins. The supposed source said: “I was let go on Friday from Lucasfilm as a partner in marketing so go ahead, ask me anything about the film. Yes, rough cut has been done for weeks, many important people have seen it and I’ve been involved with a ton of marketing. It is completely impossible to verify anyting on 4chan due to the totally anonymous nature of all contributors and commentators and even many of the comments on this post cast massive doubts on what is being supposedly revealed. A flurry of questions responded to the original post and led to an extraordinary outpouring of supposed leaks about the upcoming Episode 8. While many users enthusiastically engaged with the anonymous source, may also accused the person of making everything up. Others suggested that the person was LARPing (Live Action Role playing), meaning it was all a form of immersive game. Even so, it is one of the most convincing theories yet concerning Snoke. Star Wars The Last Jedi is out on December 14.